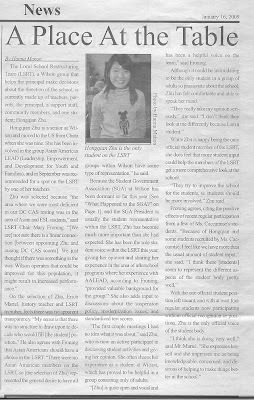 Hong Qian Zhu, our very own SSP senior from Wilson SHS was interviewed for her school newspaper as she is the only student representative on LSRT, an advisory group for the school principal. She was the only student selected to represent her 1500 peers. Go Hong Qian!! !